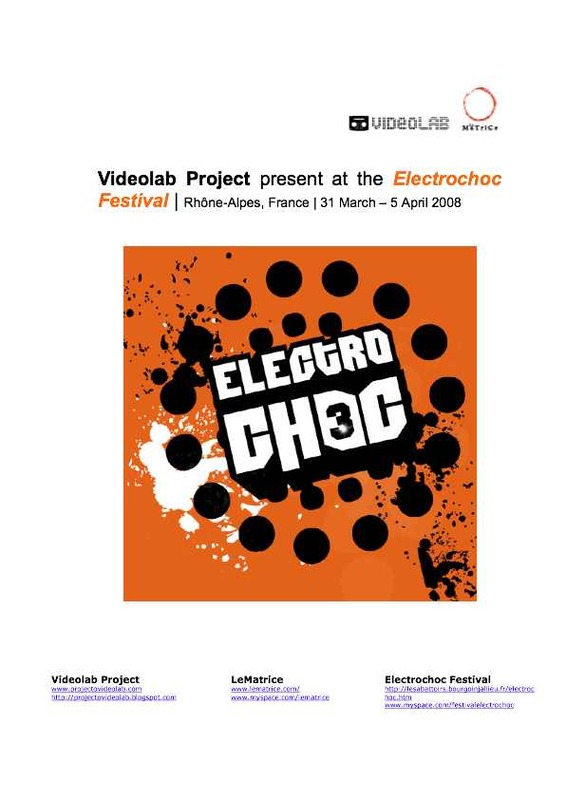 "Bless My Soul"(2007) is included in a Videolab Session at the Electrochoc Festival . Invited by the French artists' collectiveLe Matrice, Videolab Project of Portugal will present three video sessions in the Halle Grenette, in Bourgoin Jallieu, France, as part of the Electrochoc Festival. The festival, in its third year, is organized by Scène de Musiques Actuelles Les Abattoirs, and will take place from March 28 to April 19. Download the press release and program (in English). “"Bless My Soul" in Videolab Session at the Electrochoc Festival,” Pierre Yves Clouin, accessed April 21, 2019, http://pierreyvesclouin.fr/items/show/300.